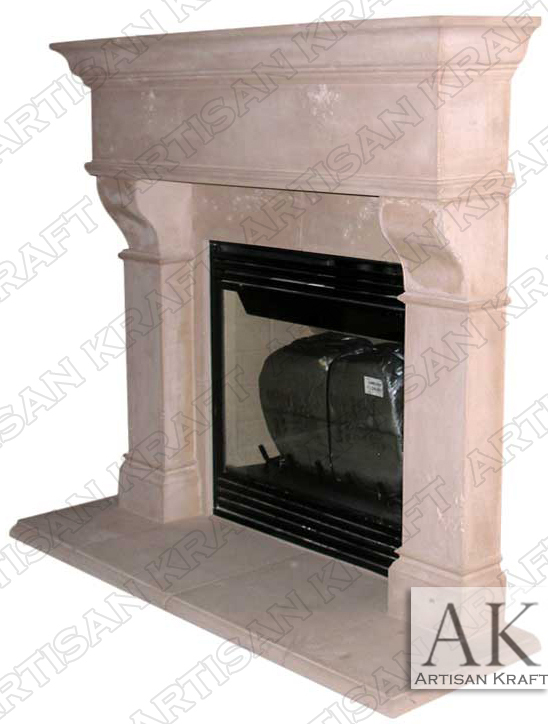 Rochester cast stone is a traditional fireplace mantel. Our cast stone is made from limestone aggregate. This means that this man made product looks and feels like real limestone. Lead time for GFRC is only 3-5 weeks making it a smart option is lead time is an issue. All of our cast stone fireplaces can be made to size. Order it to your size to better fit the space. Stone: GFRC, Travertine, cast stone, limestone, sandstone, marble etc.